These quick keto dinner recipes are ready to serve in 30 minutes or less! No time to cook? No problem! Save these easy keto recipes that will keep your diet on track! One of the things I love about the ketogenic diet, apart from the massive weight loss and increased energy, is that it doesn’t require me to meal prep and cook all day! If you’re looking for a few quick keto dinner recipes, prepare to be amazed. 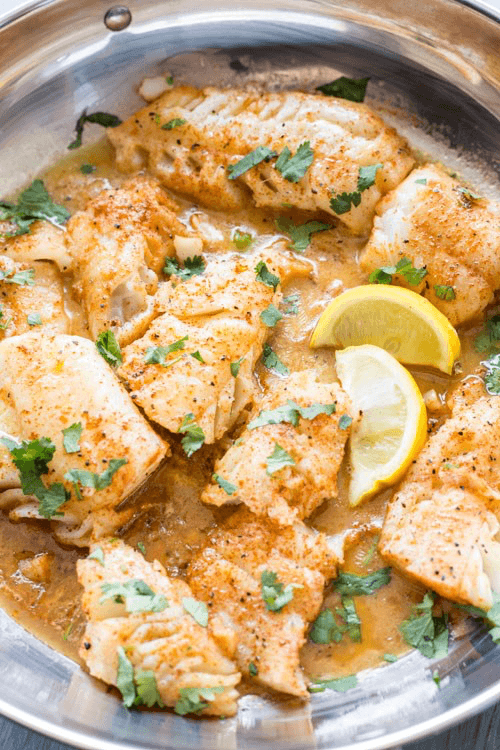 All of these low-carb chicken, beef, and seafood quick keto dinner recipes are ready in 30 minutes or less! Keto Dinner Menu – 30 Minute Low Carb Meals! Keto approved juicy chili lime steak fajitas are full of flavor and ready to go in 30 minutes! Thank you, Cafe Delites! 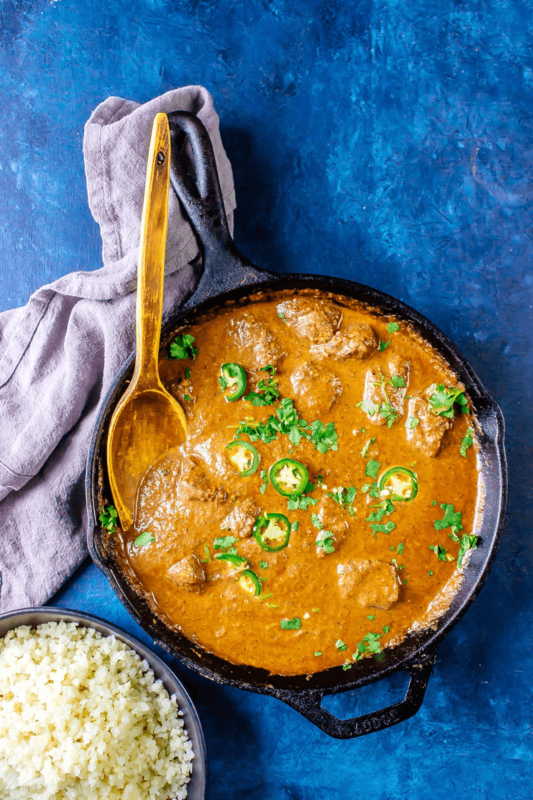 This classic Indian dish from Cast Iron Keto tastes like you’ve been slaving away all day in the kitchen, but it takes only 10 minutes to prep and 20 minutes to cook! Serve with cauliflower rice. Now, I usually don’t get excited about Cod, but this dish from Valentina’s Corner made me a fan! We’re looking at an insanely easy 10 minute total cook time recipe here that’s full of buttery flavor. So, yeah. Go buy some Cod & make it happen! This is one of my favorite quick and easy keto dinner recipes from savory tooth! Because you can hack it to make it even easier! The recipe combines ground beef, carrots, cabbage, and scallions & is family-approved. Either way, dinner is served in 30 minutes! Your kids will approve this healthy and hearty quick keto dinner from Paleo Newbie. 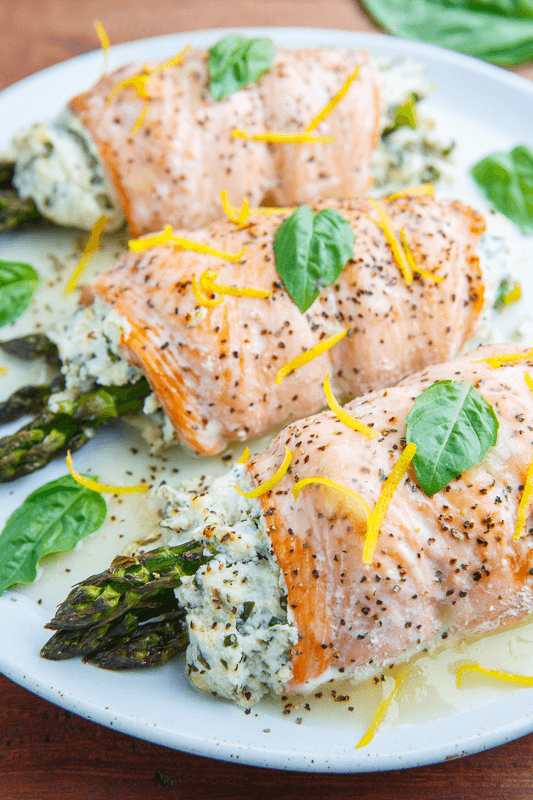 How fabulous are these salmon rolls from Closet Cooking? Stuffed with lemon and basil ricotta- then baked with asparagus and topped with a light lemon sauce. You’re getting 4 Star-Quality in 20 minutes! Forget take-out! 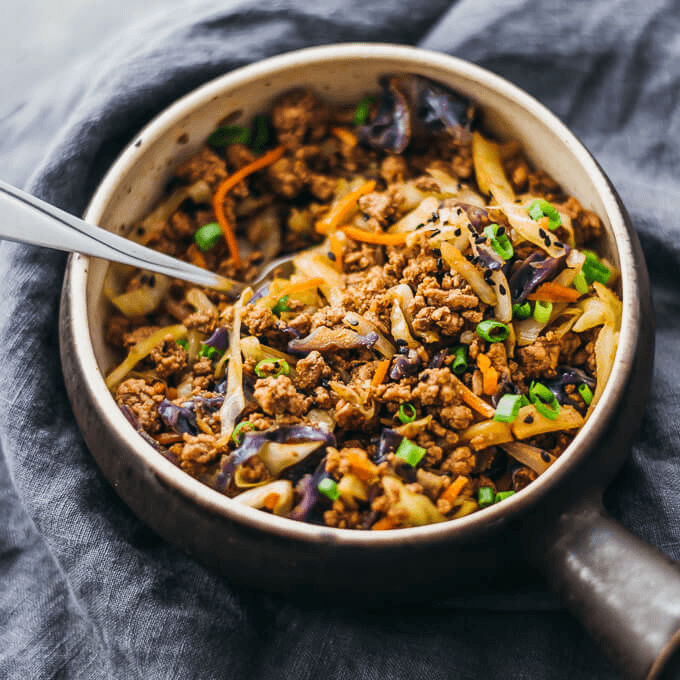 It can’t hold a candle to this delectable keto style stir fry from Low Carb Maven that combines pork and veggies & dinner that’s ready in 15 minutes! This yummy and wholesome turkey meatball and kale soup from Savory Lotus takes only 20 minutes to prepare! So this one gets an A++! Family dinner problem solved. Healthy Seasonal Recipes created an unbelievable turkey and pepper saute that’s ready to eat in only 20 minutes! Healthy Laura brings us this 20 minute dairy-free, gluten free, keto-friendly recipe that’s full of flavor with chicken, garlic, onions, and cashews. House of Yumm has the perfect alternative to a taco shell: an avocado! Finally, a tasty low carb option that’s easy to prep! These taco stuffed avocados are delicious and ready to eat in 20 minutes! 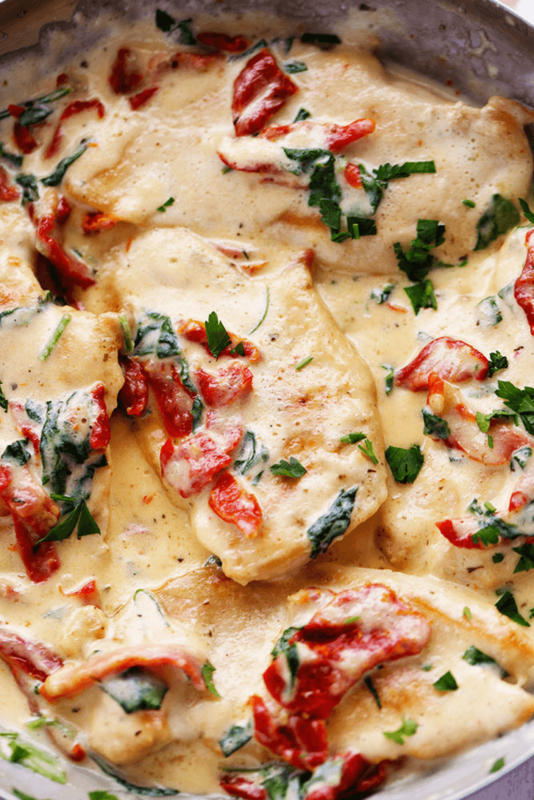 With sun-dried tomatoes and an amazing creamy garlic sauce you’d think this dish from the Recipe Critic takes hours, but it’s actually an easy quick keto dinner recipe that you can whip up in 30 minutes! Does dinnertime stress you out? If you struggle with meal planning, Tastaholics can help with their low carb weekly keto meal plans-delivered straight to your inbox with all of your macros calculated & shopping lists done for you! Don’t Forget to Save These Keto Dinner Recipes!